How do Mexican immigrant adolescents balance different, and often oppositional, cultural influences in the acculturation process? In this article, we explore how acculturating adolescents absorb cultural messages and go about creating their (multiple) identities. Guided by Alternation Theory, in-depth qualitative interviews were conducted with 12 undocumented Mexican adolescents and 14 of their parents who had immigrated to North Carolina within the past 7 years. All of the families had adolescent children who were born in Mexico. At least one parent and one adolescent from each family were interviewed. Interviewing multiple family members allowed us to examine how bicultural development progressed differently for various family members, and how the whole family balanced between cultural systems. Mexican parents and adolescents were acculturating while trying to resist assimilation pressures. They maintained strong Mexican identities that were preserved by practicing Mexican customs, values, and traditions in their homes and churches. Meeting U.S. cultural and linguistic demands at work and in school placed Mexican parents and adolescents between the two cultural systems. This prompted adolescents and parents to integrate some U.S. customs, language, or social behaviors into their daily lives, increasing bilingualism and, in some cases, biculturalism. The authors wish to thank the Latino families who participated in this study. This study was supported by grants from the Center for Disease Control’s National Center for Injury Prevention and Control (R49/CCR42172-02) and from the Centers for Disease Control’s Office of the Director (1K01 CE000496-01). Smokowski, P. R., David-Ferdon, C., & Bacallao, M. (2009). Acculturation and adolescent health: Moving the field forward. 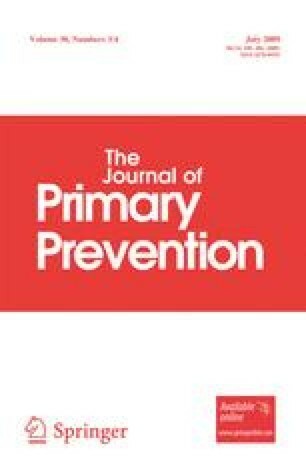 Journal of Primary Prevention. doi: 10.1007/s10935-009-0183-y.